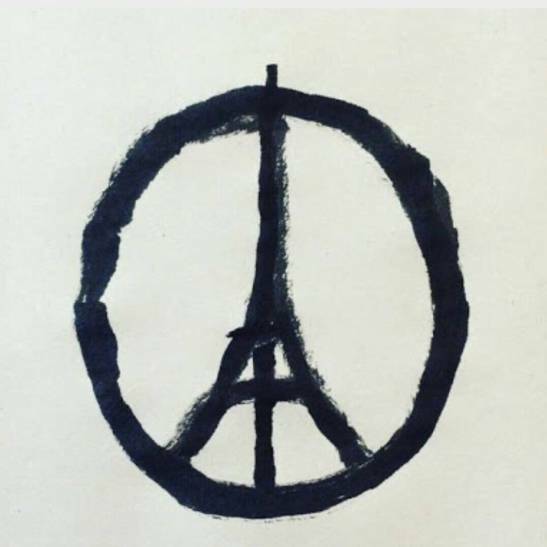 And then the senseless events of Friday in Paris happened and it all seems inconsequential. I have no words for how much this has affected me. I have spent countless hours watching the news. I have prayed for peace for grieving family members, since I know grief all too well. I have sat dumbfounded thinking of those victims who survived the attack without physical wounds, but whose emotional and mental wounds will likely never heal. Think on this for a moment: those innocent victims left their homes and workplaces to enjoy their lives in a city they considered safe, not knowing it would be their last moments on this earth. The truth is that the Paris attacks do not discount the other senseless attacks around the world – the passenger plane, the terrors in Beirut, Lebanon and the Middle East. I think what really hit home for me in this case is the fact that people ‘enjoying life’ were targeted – people having a drink and a meal with friends, colleagues and loved ones, laughing and chatting, taking in the sights of a beautiful city; people at a concert, and those watching their favourite sport. People doing what you and I were possibly doing on Friday night … happily living life and ushering in the weekend. Also the place just felt closer to home. I have friends living in Paris; my cousin is married to a Parisian; It’s one of the places my mum and I plan to visit next year and it is on my list of places I must visit; One of my best friends was supposed to be there right now on a study exchange and another just returned from vacation there last week. The physical place may be far away but the damage affected me and affects us all. … I keep thinking – I was planning to ‘vent’ about my busy life, a life I still am so fortunate and thankful to have. My heart breaks for those in the beautiful city of Paris and all those around the world living in war torn areas. The takeaway for me? Stop complaining, enjoy the moments, live life fully and truly appreciate those around you for what they are. Life has so much value and we so often take it for granted. While you still have it, appreciate it.